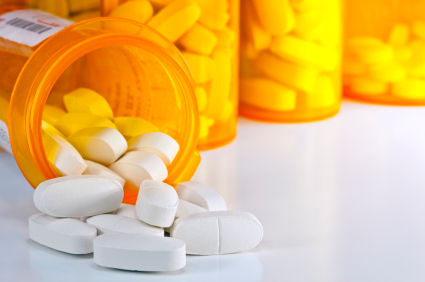 "Most patients with Gastroparesis I encounter are drug seekers." I want to explain why we are not drug seekers for those who may know little to nothing about GP and why that comment bothered me so much. I also want to educate people in what gastroparesis is, and does to the body. I wanted to tell her, imagine the worst stomach bug that you have EVER had, now imagine throwing up constantly and projectile vomiting. Your abdomen would hurt, right? You would use muscles you normally do not engage. Now, imagine that not letting up for weeks at a time. When would you go to the emergency room and would you complain of pain? No two GPers are a like - we are all different in some way, but that doesn't make us any less ill. I am also going to add pain to the symptoms. That needs to be taken into account because I know that if I try to eat with Gastroparesis, my stomach starts spasming and doesn't stop until I vomit everything up. That's not even mentioning the pain my esophagus feels after vomiting up so much food/liquids. "When a person goes to the ER it’s because their pain has become too much for them to handle on their own. You then need to take into account the fact that anybody who is in pain wants not to be in pain and the faster the better. Please don’t judge us too harshly because people like myself who live with chronic pain want our pain to go away as soon as humanly possible. Chronic pain is a hideous disease. It never gives you a moment’s peace. When we with chronic pain go to an ER then you can be certain that we’re at a level of desperation for the pain to stop that we are willing to endure the terrible irritation of waiting in an ER. Waiting in an ER when they are in pain makes people anxious. It’s a well-establish fact that anxiety magnifies the perception of the pain that someone is experiencing." Image credit: Aubrey O. and Tiffany W.
Now, there's a difference in being legitimately sick and just seeking drugs. A retrospective chart review of 152 drug-seeking patients and of age- and gender-matched controls was conducted, with the authors noting several drug-seeking behaviors that were exhibited over 1 year. Drug-seeking patients accounted for 2,203 visits to the ED, averaging about 14.5 visits per patient per year. For the control group, patients accounted for 315 visits to the ED, which is an average of 2.1 visits per patient per year. Patients in the drug-seeking arm reported their pain level as 10 out of 10 more often than control group patients (Table 1). Additionally, drug-seeking patients occasionally complained of pain levels greater than 10 out of 10, while the control group had no instances of these events. Drug-seeking patients were also significantly more likely to request medications parenterally. The odds ratios for both requesting parenteral medication and reporting pain levels greater than 10 out of 10 were significantly higher than all others observed in the study (Table 2). These were the most predictive of drug-seeking behavior, while a non-narcotic allergy was less predictive. However, the odds ratio for a non-narcotic allergy was greater than 1, and was still a behavior that was more commonly used by drug-seeking patients than the control group. For other studied behaviors, the confidence intervals were too wide to allow the authors of the study to meaningfully interpret the data." "Most scammers try to get the doctor to write a prescription or gain access to a prescription pad so they can write a script themselves. Patients will sometimes say they're from out of state and the pharmacy won't fill their prescription. They try to evoke the practitioner's compassion to continue the medication. Other times, a patient you've never seen before will present with a prescription, ask you to refill it and promise to schedule an appointment next week. If you fill that prescription, you've been had. Drug abuse is a developing phenomenon. It starts with patients losing prescriptions, not being able to track the amount of prescriptions or claiming that the doctor wrote the wrong prescription. A concatenation of events often indicates abuse rather than serendipity or accident. A single transaction by itself does not mean abuse. But if your record shows repeated violations, you are not only denying what's going on, but also making yourself vulnerable to DEA or even patient litigation." In conclusion, there are several differences between chronically ill patients who may need medication to survive or even try to function while others just want to get high. At my most recent ER visit, the nurse told me I was the true emergency (dehydration and pain) and that he had gotten things like tooth aches all day. I know Gastroparesis is an invisible illness and most people think it's in our heads until they see our labs. That's another key difference. Keep fighting to educate those out there who may still be skeptical of the illness. We shouldn't be punished because of lack of education. We should try to educate as many health workers whom we may come across. They need to understand what it's like throwing up or feeling abdominal pain with no end in sight. 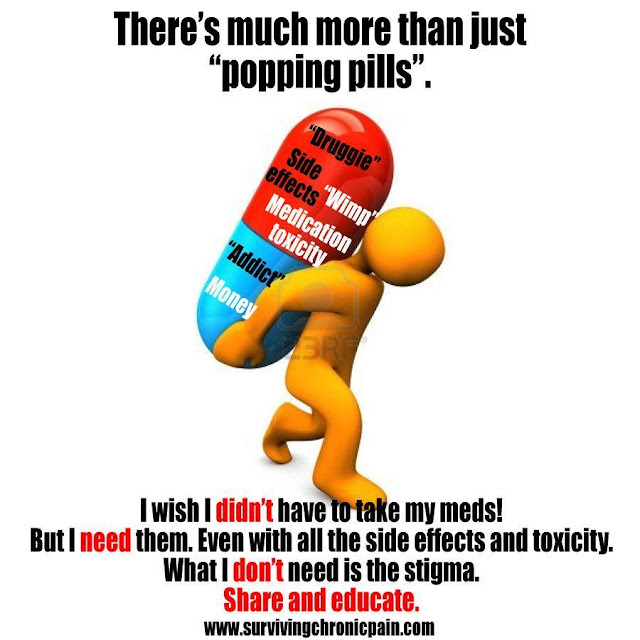 It IS different for us if we need medication, IV medication, to control it until we can get a handle on it ourselves. Sometimes, we do need that extra help and the hospital is the only way that we can get it. I feel your pain Emily! I have been dealing with ER visits for 8 years..drugs like Reglan and Zofran do not work anymore and only Dilauid works for the pain. Its a challenge everytime I go, because every doctor and nurse approach GP differently. All I can do is be confident and informed in what I express to the staff and hope that I get a compassionate and competent professional! The unfortunate part about getting pain medicine is that it has adverse effects on your GP. My prayers are with you and all of us that are affected by this horrible condition. But the good news is more and more health professionals are becoming aware of it. Keep spreading the word! This is an awesome post. I like this topic.This site has bunches of preferred standpoint. Ive been in and out of hospitals for years. Vomiting nausea and pain. Been up since 4am struggling. Might be a hospital day. Trying not to but nothing seems to work. Haven't eaten in a week and afraid too. The pain is bad. I have 7.5 percocet and doesn't help. Dont know if its my stomach not working or if the pain is that bad. Just learning about gp since recently diagnosed. Symptoms are severe for so long. I agree wish dr. KEVORKIAN WAS STILL AROUND. Does anyone have anything that can help. Labs are not always an accurate indicator as well. I recently presented to the ER because of the POTS I have associated with the GP and excessive weight loss due to the inability to get enough calories and fluids in. I have used Essential oils for over 5 years and treat my GP holistically. My labs are usually good even if I am not eating in over a week. However I am a chronic pain patient as well and it exacerbates my pain. I was told “how do we know your not just a skinny chick” @ 60 years of age. I was admitted and seen by 3 different doctors, none of which could diagnose me. On the 2nd day, a dietitian came in took one look at my protruding bones, sunken cheekbones, dark eye orbital sockets and diagnosed starvation and caloric malnutrition. A whole different set of Guidelines apply for that. I am now on TPN and my pain medication was changed from pills that I couldn’t swallow to a liquid that actually gives me relief. Took me allowing myself to be placed in Palliative Care but at least I am FINALLY getting the medical intervention I desperately needed but was afraid to seek due to potentially being labeled in an ER. Kelley, I frequently argue that claim with ER docs. I have had GP for 23 years now. It’s very late stage. Pain medication allows me to function. How can you slow something down that’s paralyzed and doesn’t work at all?